We’re changing our name to Roaring Sky Sharks. We’re specialising in building relationships with our customers. Some companies do a design for a large chunk of money up front, then never see that customer again. We prefer to build an ongoing relationship that lasts for years. And we make it affordable by charging a low monthly fee instead up thousands up front. 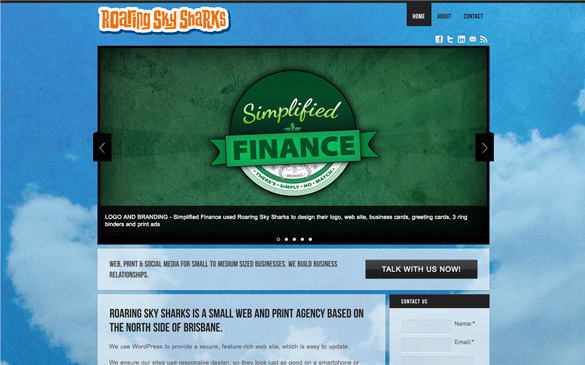 Founded in 2001 and based in Brisbane, Queensland, Harris Campbell can build the web site your small and medium business needs.